After two weeks spent in the heat of Bali, we headed back to Hong Kong for one last hoorah. We stayed in the fancy SkyCity Marriott hotel near the airport on Lantau Island, for a few extra bucks we enjoyed two luxurious nights in a new, sparkling clean hotel with the high rollers. Its fun to walk in there with our backpacks on and our casual wrinkly travellers clothing amidst all those fine upper class well dressed business people. 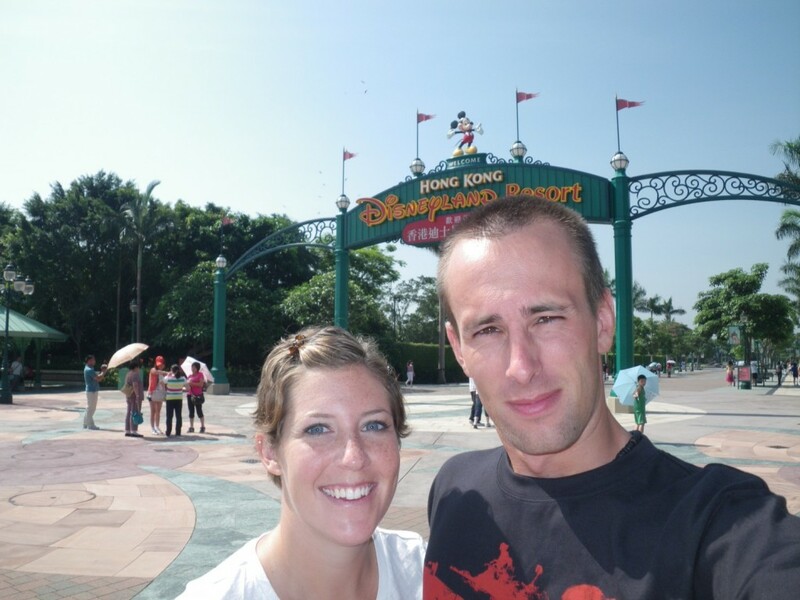 Tuesday we went Hong Kong Disney for our fifth and last Disney adventure park. That makes 3 parks in 4 years. We knew it would be the smallest, and with few rides, but it was worth the go. We did space mountain3 times, road ALL the other rides, and even hit 2 of the shows and the water parade. The crowds were quite small and we didn’t have to wait much to go on any rides, and like Tokyo Disney, the rides were pretty tame. We were disappointed in the lack of flare with the Chinese people though. The Japanese beat them by a mile with their Mickey hats and princess costumes. From Disney, we stopped by the outlet malls at Tung Chung station where I bought a new pair of “N” shoes (New balance runners), and we ate some mediocre food court dinner. That’s it for Hong Kong folks. Tomorrow its back home to Calgary.